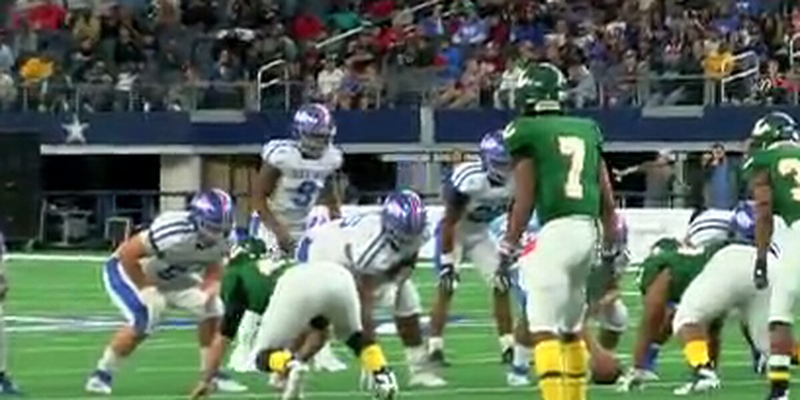 LONGVIEW, TX (KLTV) - The Longview Lobos defeated Beaumont West Brook 35-34 Saturday to claim the 6A Division 2 state championship title. After trailing the Bruins for a while in the game, the Lobos pushed forward to take the game in the 4th quarter. It’s the end of the long season by high school football standards as the Lobos played the Bruins Saturday afternoon. The Lobos haven’t won a state title in football since 1937.